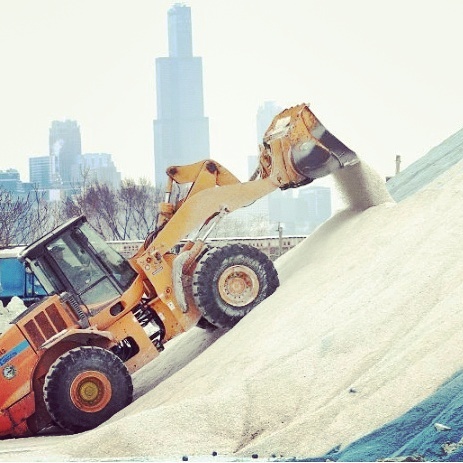 This winter, around 17 million tons of rock salt from mines in the U.S. and all over the world will be applied to icy roads across the United States. A growing body of research shows that this salt has become an environmental pollutant, and that we need to start considering alternatives. For most people in states where it snows, seeing rock salt spread on sidewalks and roads is a common sight. But what happens to the salt after the snow melts is less widely understood. Runoff, full of road salt, can flow into nearby streams or ponds and can stay in the environment long after winter is over. Just one teaspoon of salt is enough to permanently pollute five gallons of groundwater used for drinking. Once in the water, salt, or sodium chloride, is difficult to remove. Aquatic life in freshwater ponds, lakes, streams and rivers can also be affected by this runoff, according to Steven Brady, assistant professor in the biology department at Southern Connecticut State University. “It’s salty enough that you can actually taste the salt in these ponds,” Brady told Earther.